‘Who do you think you are? Since when were you a success? Since when did you think you could write, or sing or paint, or complete any other creative activity, worth recognising? These are my words to describe the frog police but we all know what Amanda Palmer means. I call them the ‘thought police’, your cruel conscience, your superego, which challenge you at every turn. Just when you think you’re getting on your feet, the frog police come in and topple you over. And they may not only arrive at moments of achievement. They can arrive when you least expect. When you’re mid stride trying to get somewhere, trying to raise your standards – in my case trying to get my book published – and they come in to remind you of why it is no one wants to read your work. No one wants to reflect on your ideas. You’re crap, essentially a windbag, a no-good waste of space. Damn those frog police, I say. Be gone. It’s time to move onto more positive things. Even so, I was alarmed at the number of New Years Eve posts on Facebook that tried to turn away from old-fashioned resolutions into posts of gratitude. 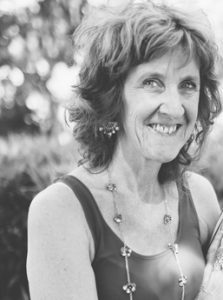 They were all sincere and heartfelt – stories of people wanting to acknowledge those others in their lives who’d made a difference – and it made me want to puke. Not because these posts weren’t sincere and heartfelt but because that great ruler of the skies: Facebook or the twitterers and tweeters, social networking, and the social media intelligentsia, orchestrated them, and I buck under the strain. I’m as much a part of this trend thing as the next. I use Facebook, I even tweet occasionally, though I haven’t yet mastered the art, but most of all I see the trends drift around. Sometimes they’re upon me before I can even identify them. Sometimes they appeal and I want to join the band, but other times they appal me, and fill me with revulsion for the sheep I have become. When I was a teenager, I railed against the idea of the popular, particularly when it came to music. Not for me the Beatles or the Rolling Stones. Not for me the football heroes on the field. I preferred classical music, the Brahms and Beethovens. I preferred the romantic poets, the Wordsworths and the Tennysons. I preferred the old to the new. Following the new put me into the category of the tryhards and the wannabes, when I was hell bent on being different, something special, and something above the throng. Whenever a rock star landed at Essendon Airport, on the television during the news, I saw these girls, pushed up against the temporary fencing erected to keep them out. These girls, who wore mini skirts and make up, who flung their bodies over the makeshift fencing and screamed as loudly as they could whenever they caught a glimpse of their singing idols. The Monkeys, the Easy Beats, Normie Rowe. So many male musicians who found an adoring audience in these young women, who’d lost their minds to their idealisations. Even then I wondered, how could it be? I could not pitch myself into the minds of my contemporaries. I could not understand what all the fuss was about. I chose frumpdom over the modern, because the modern took very little time before it became boring and old hat. Every time I sit down to write I hope something worthwhile will emerge, knowing in all likelihood it won’t. Not today. Maybe tomorrow, but I write regardless with the frog police hard on my heels, ready to be caught up in the Under Toad – thanks John Irving for coining this expression – to drag me away on the current and leave me dashed against rocks, broken and battered or else far out deep in sea, unable to find energy enough to keep on swimming or stay afloat, and therefore to drown. I love that you’ve read Amanda Palmer’s book. She is the daughter of one of my best friends. I also love your wanting to puke at Facebook posts of gratitude. I just commented on Jim’s blog, in reaction to happiness, “Happiness writes white.” (Philip Larkin). That’s wonderful to hear, Kass. Your daughter must be a pretty special person. I’m sure she is in her own right – she’s your daughter after all – but then to be friends with Amanda Palmer as well. Amanda Palmer is one of my favourite reformers, thinkers, writers and all round good guy at the moment, but I’d better be careful of too much idealisation. It can get you into trouble. Still Amanda Palmer is pretty special. Thanks, Kass. Elisabeth, I’m friends with Amanda’s mother, Katharine. We cared for each others children when we lived in NYC. I don’t know Amanda well at all as an adult. She wouldn’t even remember me. I admire her and called her mother immediately when I saw that she had dedicated the book to her…and it doesn’t hurt that Amanda is married to Neil Gaiman. I couldn’t agree more, Kass, the business of being married to the wonderful Neil Gaiman must have done Amanda Palmer a world of good. I know it’s what we get to see in the public domain but they make such a terrific family, at least on external appearances. I’d like to believe there’s some authenticity here. And her mother sounds to be a pretty special person, too. Good that Amanda can recognise the value of her mum. Of course, there’s bound to be piles of other stuff unseen, behind the scenes when things are/were not so rosy. Life is such a mixture of good and bad, but we like to emphasise the extremes at the expense of finding that balance, which to me is the most probable story for most of us, including the Amanda Palmers of this world. More than anything though, I admire AP’s ability to ask, and the degree to which she recognises its clash with her desire to be independent. She seems honest about her vulnerability and that of others. She seems to respect it and that has to be a good thing. Give a man a book and he’ll read for a day. Teach a man to write, and he’ll never finish a book for the rest of his life. Your post reminded me of an article I wrote a while back on imposter syndrome (http://jim-murdoch.blogspot.co.uk/2009/02/are-you-imposter.html). It took me a while to find it because self-doubt crops up in a few of my articles like the one on perfectionism (http://jim-murdoch.blogspot.co.uk/2011/11/perfectionism.html) and ‘Get real’ (http://jim-murdoch.blogspot.co.uk/2014/04/get-real.html). I don’t think self-doubt ever goes away no matter what you do but there are some people who suffer worse than others. Comedians, for example. Tony Hancock was crippled by it. As was Tommy Cooper. Writer too, even more so I’d say. Stephen King’s sold 350 million books but he still fears failure, he told ‘Rolling Stone’: “I’m afraid of failing at whatever story I’m writing—that it won’t come up for me, or that I won’t be able to finish it.” Seems laughable doesn’t it but when I read his book on writing I came away with the distinct impression there was a wee boy cowering behind his 54 novels and nearly 200 short stories going, “I am a real writer. I am. I am. I am.” Of course he’s way down the list of bestsellers. Even Enid Blyton’s sold twice as much as him. That said no one above him on the list received the Nobel Prize and the odds are King never will either. How do you measure success? If you achieve what you set out to do. I remember reading once—I believe it was in the liner notes of the LP I owned—that after finishing ‘The Planets’ Holst stuck the thing in a drawer and pretty much forgot about it until a friend discovered it and persuaded him to get the thing performed. I have since read differently but what I can say with more certainly is that after his contemporary Herbert Howells completed his choral work ‘Hymnus Paradisi’ in 1938 it did sit in a drawer for twelve years until he felt ready to hear it performed. His nine-year-old son, Michael, died in 1935 and the ‘Hymnus Paradisi’ had become an intensely personal thing that he clearly did not need to hear performed. It’s now regarded (at least by the critic Simon Heffer) as “the greatest piece of English choral music.” It was clearly that when it was in the drawer. So when did it become a success? Critics are just men and women. Granted they’re usually reasonably well-read but so often they get it wrong. When ‘Annie Hall’ was first released John Simon wrote, “With ‘Annie Hall’, Woody Allen has truly underreached himself… his new film is painful in three separate ways: as unfunny comedy, poor moviemaking, and embarrassing self-revelation… It is a film so shapeless, sprawling, repetitious, and aimless as to seem to beg for oblivion. At this, it is successful.” In 2015 The Writer’s Guild voted it “the funniest screenplay ever written.” Woody himself says of his films, “There are a few better than others, half a dozen, but it’s a surprising paucity of worthwhile celluloid.” ‘Annie Hall’ interestingly does not make it into that six. Who’s to say? It’s not my favourite Woody Allen film. As for Facebook, indeed so much of the Internet, it equates popular with good. Over the last couple of weeks I’ve been reading the various lists that we always get at the end of a year, the best films, the best books, the most underrated, the ones that got away. It’s natural to want to share with friends what we’ve enjoyed—“Oh, you must watch/read/listen to such-and-such”—but that’s amongst friends. I value your opinion. I’m not sure I could quantify its value but anything you suggested I look at I would at least check out to see if it might be of some interest to me. But then I know you. You’re one of the few people I do know. Ken Armstrong is another. He’s been recommending Bond films to me for as long as I’ve known him but I’ve not watched one in about thirty years and despite his enthusiasm I still haven’t gone out of my way to see any of the recent ones and probably never will. And, let’s face it, there’s no movie franchise more successful than James Bond. I take perverse pride in telling you I’ve never heard ‘Hello’ by Adele. It’s probably a perfectly decent track but I hated that last year it was all anyone was going on about (other than the upcoming ‘Star Wars’ film which I’ve also not seen, not even the trailer). It’s now 2016. Time for resolutions. I haven’t made one. I don’t usually. I’m not fond of targets. You do your best and that’s the most anyone can ask of you. If you manage to hit some arbitrary target then it just means you’re good at predicting and nothing more. Last year I aimed to edit ‘The More Things Change’ and expected it would take me six months. I ended up adding another 9000 words and it took me eleven. It wasn’t part of the plan but that’s why writing’s an art and not a science. And, for most of us, not a career. They’re universal themes, aren’t they, Jim, that of imposter syndrome, self doubt and the striving for perfection. Writers often rub up against these struggles. You and I among them. I also recognise the subjectivity, not only of our internal critics, but also of those who are asked to judge us. We’re all only human, and fashions, ideas and thoughts about what’s of value and significance shift around constantly. I enjoyed my gripe, though and somehow it helped me go on. I also enjoy your thoughts here. You’ve a wonderful way with words. Thanks, Jim. Hi Elisabeth, After reading all of this, the thing that stands out to me is you have a newborn grandson! Congratulations! How special is that! The second thing that springs out at me is that you preferred classical music over popular music as a teenager. It brought back the time when I was in Year 8 and we were asked to write down our favourite music. I didn’t let anyone see that I wrote Mozart’s Symphony No 40, and folded my piece of paper over about six times before handing it in, so ashamed was I of my clandestine love affair with this piece! I wish you all the best for 2016, and I hope someone picks up your memoir. Your writing has beauty and honesty. Best wishes for this year. 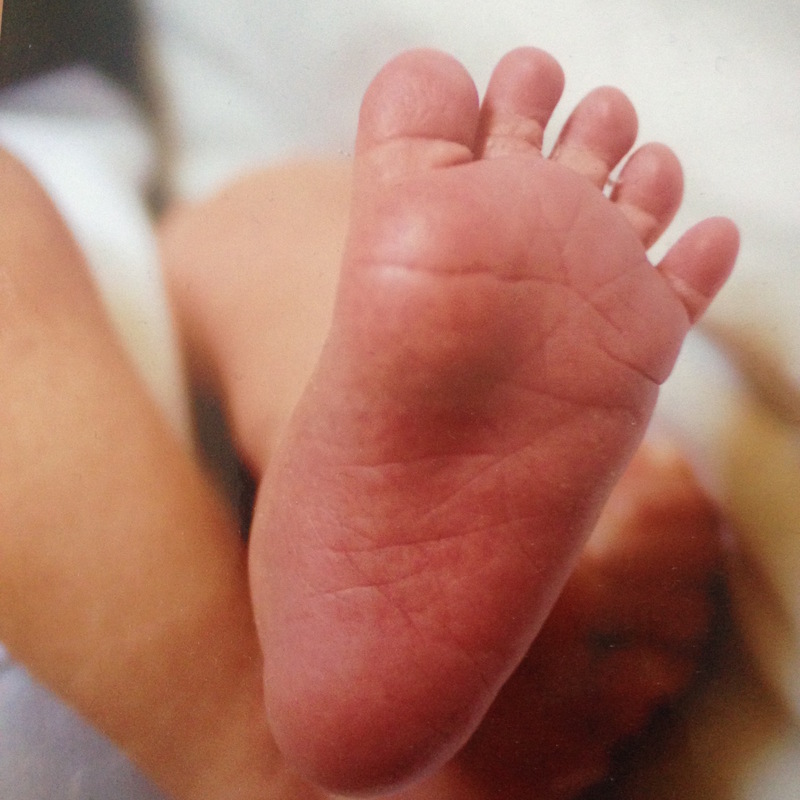 I should have realised in putting up a photo of my grandson’s feet, it might suggest, he was born recently, Louise. As it is the feet of this once newborn grandson are now over eight years old. I simply love this photo and it put me in mind of beginnings, Louise. Hence my decision to include it here. Thanks.